Watching some new release movies or maybe old famous classics outdoor, under the summer’s night sky, with your close friends is indeed a great way to enjoy your leisure time. With a modern projector, you can now watch great movies on an ultra-wide screen just like in a movie theater. If you want to buy a new projector, you should be aware that this is quite a lifetime investment. So, make sure that you choose the right model that will give you the best image quality, all the features that you need, and long-lasting lifetime. 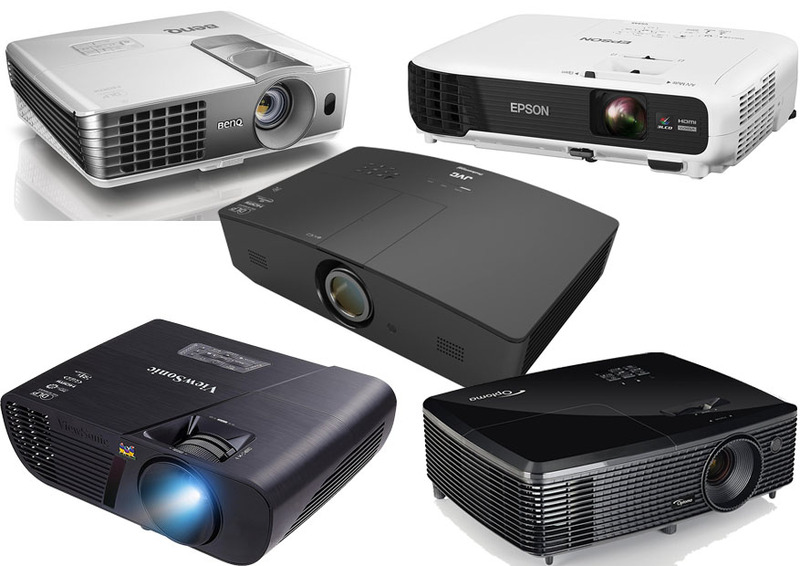 When looking for the best projector for outdoor movies, make sure that you choose those models with high brightness. The brightness of a projector is indicated by the Lumens. This is because the projector is not going to work in a pitch-black room; you have to make sure that the projector will produce good, visible images even though there are other light sources in the environment. Of course, choosing based on the Lumens alone is not enough; you also need to consider the image quality as well as other additional features. Below, we have gathered the five best projectors for outdoor movies in 2017. Take a look! With a brightness power of 3000 Lumens, Optoma HD142X makes a viable option for outdoor movies. Such brightness power is good enough for a screen measuring 12 x 7 ft. up to 16 x 9 ft. However, the projector itself is actually able to produce even larger images; it can give you a 66-inch screen from 8 feet, and a 107-inch screen from 12 feet. The image quality is exceptional. Optoma HD142X has a native resolution of 1920 x 1080 (Full HD) and a contrast ratio of 23,000:1. With such qualities, it is ready to give you the sharpest, richest, most detailed visuals that you can get from an outdoor projector. In addition, Optoma HD142X is also 3D-ready. So, with this projector, you can enjoy 3D movies with your friends and family members! As a DLP projector, Optoma HD142X is not free from the rainbow effect. However, thanks to the 0.65” DC3 DMD chip technology made by Texas Instruments, the rainbow effect can be greatly reduced. There is a 10W mono speaker in the projector, which is pretty good, but you may want to use external speakers instead for the best audio performance. Optoma HD142X has two HDMI ports (one of which also acts as the MHL port), the 3D Sync port, an audio output, and a USB service port. Check the best price for Optoma HD142X here! JVC Professional Series LX-WX50 is perhaps not as famous as other models in the market, but it is truly an awesome projector. It has a great brightness power of 5000 Lumens, ensuring that you can enjoy bright and vivid images in any condition. It has a native resolution of 1280 x 800 (widescreen), and the contrast ratio is decent at 4,000:1. It is also a DLP projector, but it has very minimum rainbow effect. You may notice the rainbow effect when seeing certain scenes, such as when sirens are displayed, but the occurrence is very rare. There is no motion blur in fast moving scenes. JVC Professional Series LX-WX50also comes with supports for 3D and various LAN control protocols, including Crestron, eControl, PJ Link, RoomView, and AMX. Check the best price forJVC Professional Series LX-WX50 here! 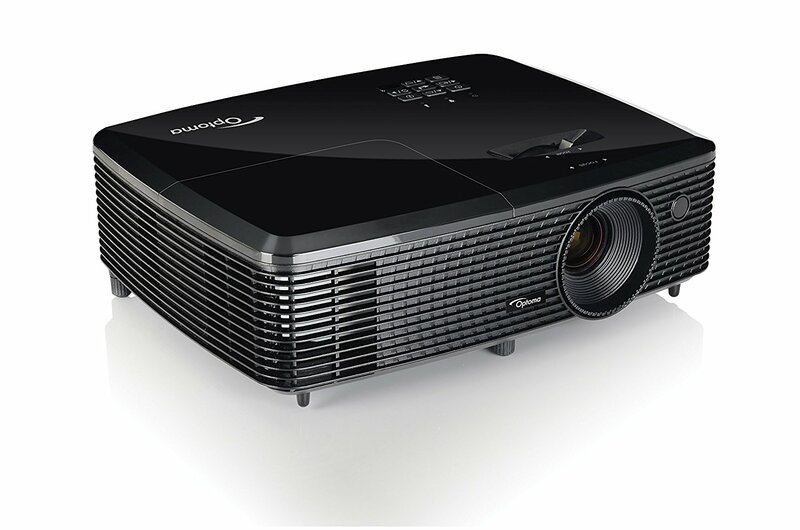 BenQ W1070 is a DLP projector with a native resolution of 1920 x 1080 (Full HD) and an excellent contrast ratio of 10,000:1, ensuring rich, vibrant colors and well detailed images. However, the brightness power is only 2,000 Lumens. 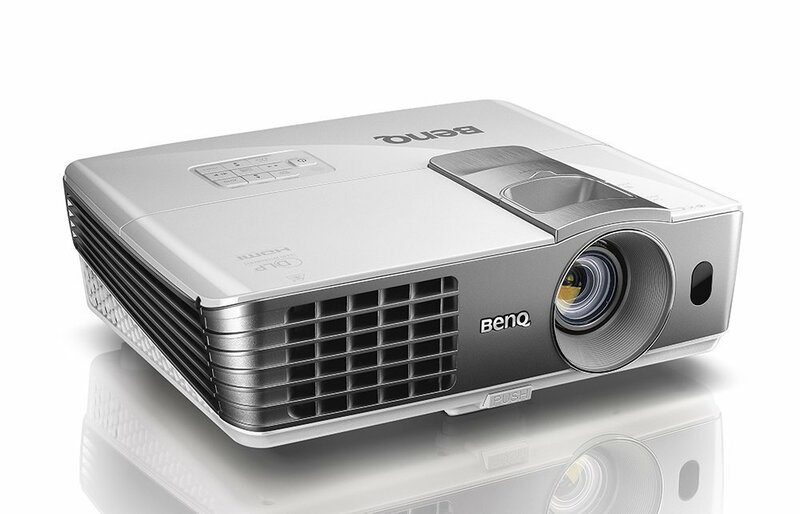 On the good side, BenQ W1070 is a short-throw projector, meaning that it does not need to be put too far away from the screen. It can already produce a 79” screen from mere two meters. As the effect, it won’t be way too much affected by the surrounding light sources, and you can still see the images clearly and enjoy the movies. It has a color calibration feature to enhance the image quality for day/night viewing, and it comes with versatile input options, featuring two HDMI ports, one VGA port, a set of component video ports, also composite and S-Video ports. Check the best price for BenQ W1070 here! 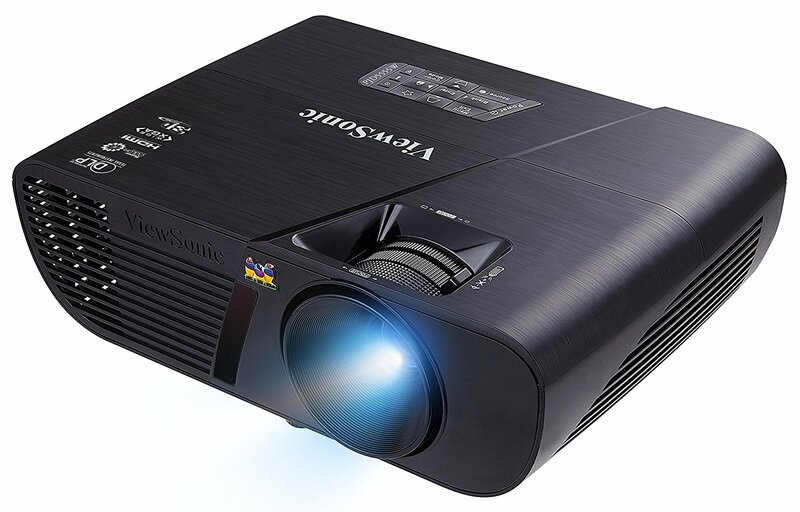 ViewSonic PJD5555W is one of the slightly more affordable options in this list, but it is definitely one of the best projectors for outdoor movies and a great value for the money. 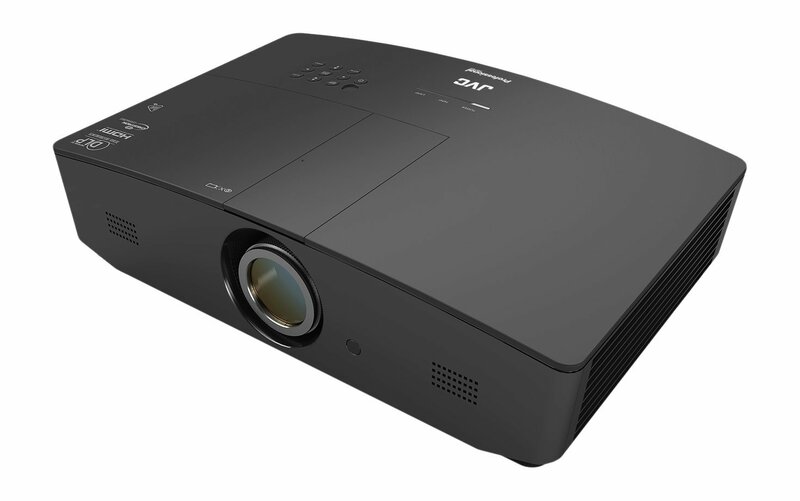 Now available for under five hundred bucks, this DLP projector will put you in awe with its outstanding image quality. Well, it does not have the Full HD resolution, but the 1280 x 800 WXGA native resolution is decent. It is ideal for the 16:10 widescreen format. With 20,000:1 dynamic contrast ratio, it is ready to surprise you with its deep and rich colors and convincing black levels. There are various input and output options, including 3.5 mm audio input and output ports, one HDMI port, two VGA inputs, one VGA output, composite RCA, and S-Video. There is a built-in speaker, too, but the power is only 2W so you definitely want to pair it with more powerful external speakers. Check the best price for ViewSonic PJD5555W here! This is the choice for you if you really hate the rainbow effect that often plagues DLP projectors. Coming with the 3LCD technology, Epson VS345 is ready to serve you without the so-called rainbow effect. It presents bright, consistent colors with a wider color gamut. Although the contrast won’t be as outstanding as DLP projectors, it is overall a good trade-off. Epson VS345 has a brightness power of 3000 Lumens, and the native resolution is 1280 x 800 (WXGA). There are one HDMI port, one VGA port, one composite video port, one S-Video port, and a pair of audio inputs. Check the best price for Epson VS345 here!